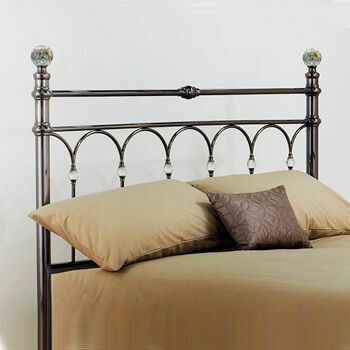 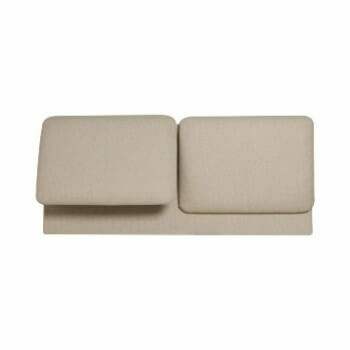 Online Shop | Metal Headboards For Divan Beds | Edwardian black headboard by Serene. 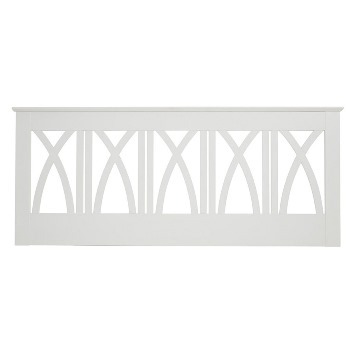 The Edwardian II black headboard by Serene Beds. 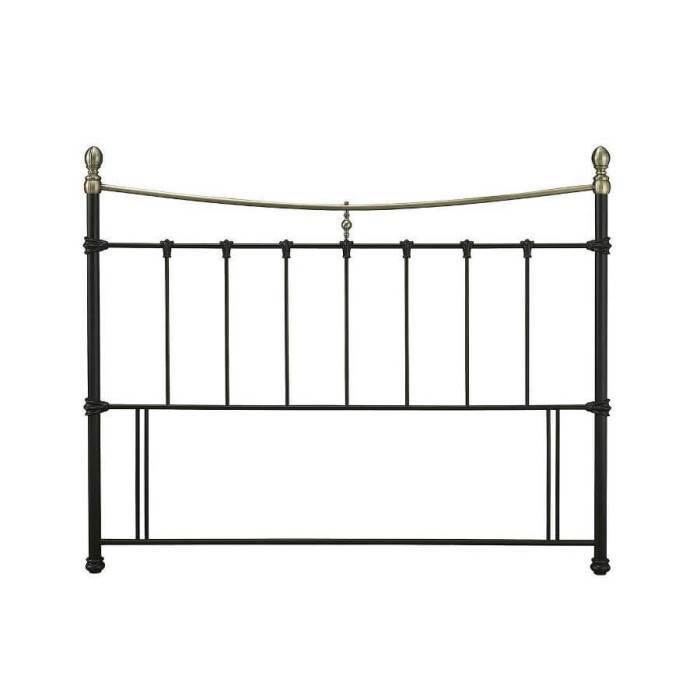 This elegant black bed head with antique brass finials and top rail, not forgetting the ornate decorative castings will add the traditional look to your bedroom. 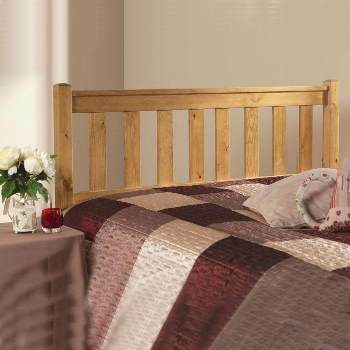 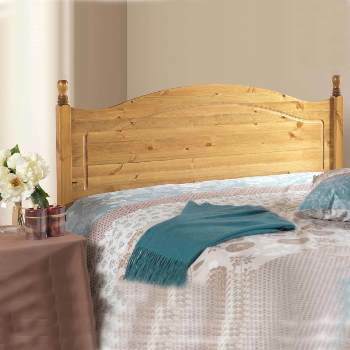 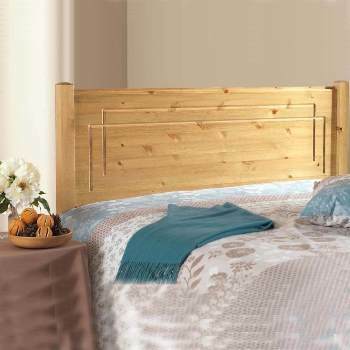 Since its floor standing, the Edwardian ll has the added bonus of being more stable and securely fastened than the standard fitted headboards.